Originality and price determine the most appropriate option. The digital era has substantially altered our habits in photography. FotoLab and related companies have adapted to these changes and can now offer new original ideas and products that perfectly lend themselves to suit Christmas shoppers. 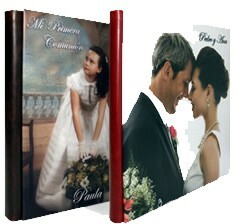 One of the best gift ideas at this time of year are the cherished photo albums which have been renewed in appearance and modernized by the new technology. 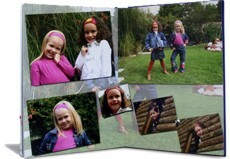 You can now enjoy sharing your best memories with the most fantastic presentation you can image, in your own personalised design because each album is custom made. Capture your most intimate moments, your family gatherings and friends gatherings and savour your most memorable and emotional snapshots. 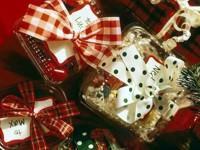 You can even please the younger ones with a multitude of gifts personalised for them. Classic board games, like Parcheesi and puzzles, have always provided extensive lots of fun; now you can customize such games with your best photographs, drawings and favorite characters and create games that you can design just as you want. When it comes to decorations and furnishings there are plenty of innovative and attractive photo products that can be used such as photo canvases, lamps, pillows, cushions and posters. Give your home a touch of class and glamour using your own creations. Its a bit of an inconvenience to have to give a present to a loved one and not have a clue as to what may be right, you always run the risk of ending up giving away something for diplomacys sake and which may not be really appreciated. Let us surprise you and please your family and friends this holiday season like they never have before. 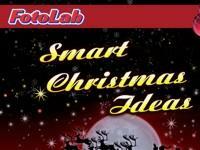 Be sure to visit and see the original Christmas gifts and offers at the FotoLab shops located in the best commercial centres and discover the most appropriate and unexpected gifts at the best prices. FotoLab have provided photographic services for over thirty years. Thanks to its enterprise and modernization it has become one of the most important photographic product companies in Spain and certainly the leader of its kind in Andalucia. Fortunately the many stores spread throughout the Costa del Sol, bring these original and creative products within our reach. Alternatively, if you prefer, you can also purchase these great gifts from the comfort of your own home through their website: www.fotolabs.es.